Need a gutter repair or replacement in Mead, Colorado? You're in the right place! Loveland Gutters is the leading gutter company on the Front Range of Colorado, and is committed to your satisfaction. 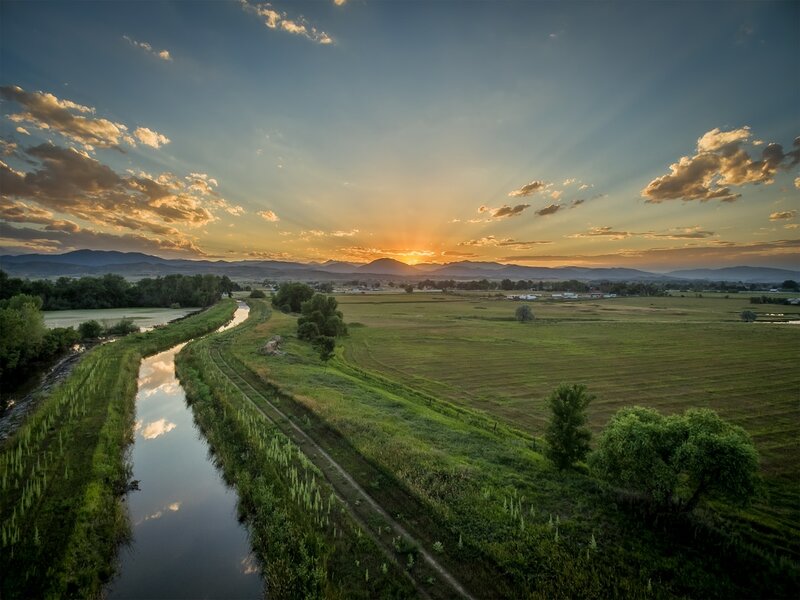 Mead is located just up I-25 from Loveland, so it is right in our wheelhouse for delivering gutter services to homeowners and small business owners. This small town is growing, but there are still a number of homes in the area that are in desperate need of home improvement. Loveland Gutters can perform any number of gutter services depending on your need, including gutter replacement, seamless gutter installation, and gutter repair. We also provide many other auxiliary water solutions including rain chains, rain barrels, heat tape, and snow blockers. We provide all of the gutter services you could require under a single company. Blocked drains and gutters can cause serious damage to your home if ignored. When you call us, our experienced gutter technicians will come out to your home and figure out how much damage there is to your gutters, and provide you with different gutter options. Call Loveland Gutters today for gutter services in Mead, Colorado! We are happy to come out to your home and help you with your gutter needs!